This account will be where all of my Add Yourself projects, project remixes, and collabs. This will also be where my test projects will be posted. 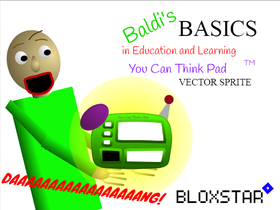 Baldi's Basics in Education and Learning | You Can Think! Pad™ Vector Sprite | Accurate Recreation!